Most people don’t equate Apple Computers with an Islamic publishing company, but the parallels between Iqra and Apple are many and varied. Twenty years ago there was no such thing as an Apple home computer. Ten years ago there was no such thing as an iPod. Five years ago there was no such thing as an iPhone or an iPad. People wrote papers on electronic typewriters, listened to music on Walkmans, talked to each other on land lines, and played games on their TV sets. No one imagined that an interconnected family of devices could meet all those needs and more. Yet now, millions of people around the globe depend on Apple products for all their writing, listening, communication and entertainment needs. Apple created a line of products that made things easier, educated the public about them, and became the manufacturer of an indispensable part of 21st century living. And all this was the vision of two guys who saw what could be done to improve things and worked to do so without faltering. Similarly, twenty years ago there were no Islamic textbooks in English. Ten years ago there were no graded series that provided teachers with continuity from one grade to the next. Five years ago there were no integrated curricula for Islamic and Arabic studies. Principals and teachers had to put their syllabi together piecemeal, pecking out random Islamic and Arabic resources from wherever they could find them. 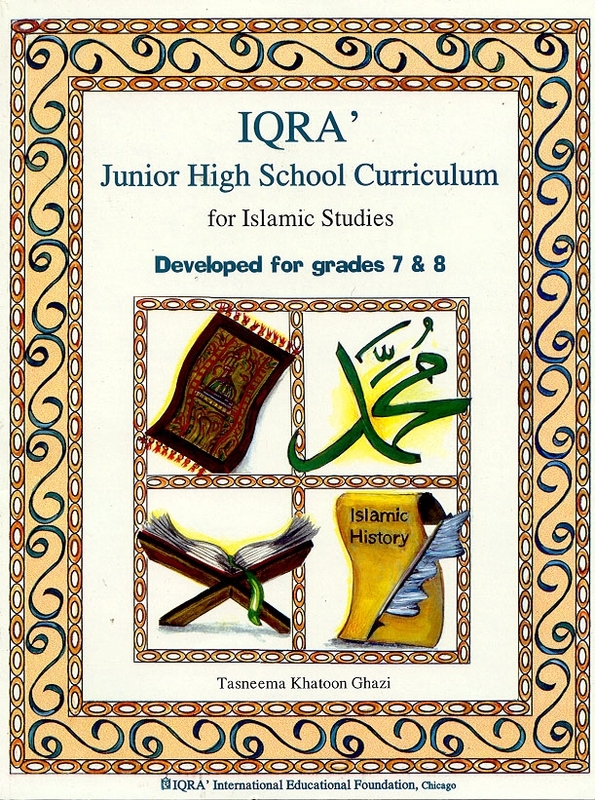 Yet now, IQRA provides a comprehensive curricula to Islamic schools around the world, who depend on their systematic approach to complete, integrated Islamic education. And all this began in the 1980s with the vision of Abdullah and Tasneema Ghazi, who have worked tirelessly over the past two decades to bring Islamic education to the same level as core subject curricula. One of the successes of both companies is that they have developed almost universal brand recognition. Everyone in the computing world knows the apple with a bite missing, and it’s seen being used by actors in movies as well as students in coffee shops. Likewise, when anyone in the English–speaking Muslim world says they use IQRA’s curricula, everyone else in that world knows what they mean, and knows that what they mean is business – the business of giving Muslim children a quality education and teaching them to love Islam, not just know the rules. Finally, Steve Jobs and the team at Apple are masters of the wow effect. When one opens an Apple product, sees all the sharp, colorful packaging, reads the easy-to-understand instruction manual, and plugs in their product to the miracle of having it work well straight away, they can’t help but marvel, “WOW!” Muslim educators are being treated to a similar wow effect by virtue of IQRA’s ever-growing inventory of inspiring Islamic studies books and textbooks, colorful new editions of classic books with stunning graphics, and now state-of-the-art ebook publishing so that schools and students can benefit from Islamic information in both hard-copy and electronic formats. Readers can now take their IQRA books with them to study and enjoy on their iPad, Mac, Kindle, Nook or PC. The two companies with so much in common now provide the hardware and content that will allow Muslim students to study structured Islamic curricula wherever they are.